November 2010 turned out to be the month of 007. After a two year dry spell following 2008’s Quantum of Solace, James Bond has been cooling his heels while MGM sorts out their financial woes, preventing any more films. 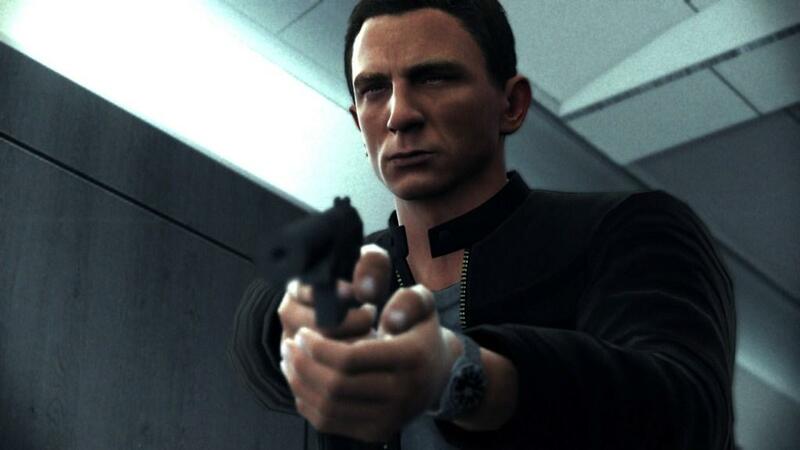 Luckily for fans of the British secret agent, Bond is still alive and kicking in the world of gaming with GoldenEye getting a smashing remake on the Wii and DS, complete with Daniel Craig and everything his portrayal of Bond brings with it. But owners of the HD consoles aren’t being left out of the action. Activision assigned Bizarre Creations, developer of the highly successful Project Gotham Racing series, to create a completely original 007 adventure called Blood Stone. Instead of an updated reboot of an old film like GoldenEye, Blood Stone is a completely new chapter in Craig’s 007 continuity, penned by Bond screenwriting veteran Bruce Feirstein. Blood Stone takes a significantly different approach than GoldenEye, while retaining a handful of similar features. For one it’s a third person shooter instead of an FPS, with a few driving missions included as well. While it may seem like Blood Stone harkens back to EA’s third person Bond adventures—Everything or Nothing and From Russia With Love—Blood Stone actually has a lot more in common with standard cover-based third person shooters like Gears of War. There is some hand to hand and stealth involved like in GoldenEye and EA’s games, but Blood Stone is first and foremost a cover-based shooter, not an adventure-espionage title like most of the previous Bond games. This has some immediate advantages but a few downsides as well. 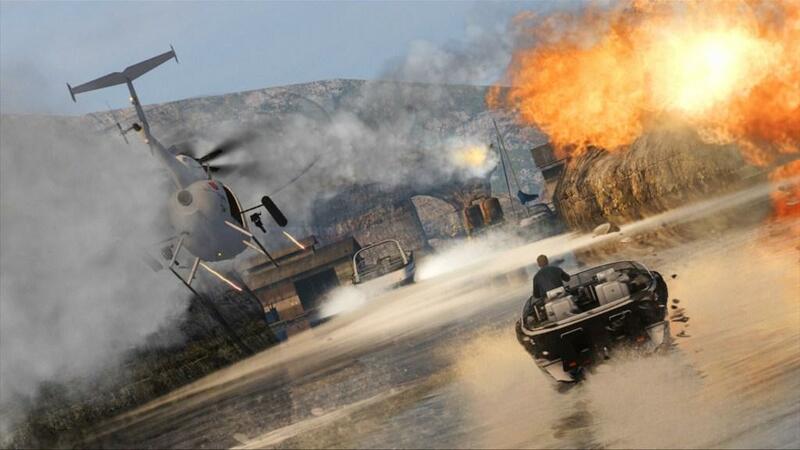 Blood Stone gets you into the action straight away with a parachute assault on a villain’s yacht and a subsequent boat chase through the Athens harbor; there is very little preamble and the game shows you the ropes very quickly, familiarizing you with the basic mechanics in only a minute or so. After the title sequence you’ll learn some sneaking skills as you explore a besieged archeological dig and then total a beautiful vintage Aston Martin in pursuit of a thug through the streets of Istanbul. So far so good—this is a typical day on the job for James Bond, and the quick and dirty approach the games takes to getting you into the action mirrors Daniel Craig’s more blunt, direct approach to spying. You can take cover and ambush thugs coming around a corner or return fire if they’ve detected you in attrition shootouts very similar to other third person shooters. Unlike Gears, though, enemies will advance aggressively to flush you out, and on the medium and hard difficulties Bond can take only a few direct hits before dying, a touch of realism I appreciated.If thugs get too close for comfort Bond can dispatch them with a variety of satisfyingly visceral melee takedowns. The aforementioned corner surprises are fun but during combat Bond can execute all sorts of cool moves. He can pop out from around a wall to bash an enemy into granite or introduce the thug’s forehead to his knee, and even bounce a guy’s skull off of a chest high wall and drag him over, disarming him in the process. It livens up the rote combat considerably and you might even find yourself unwisely rushing a thug just to perform a cool takedown, although I wish it was a little more involved than “press X to activate martial arts!”, perhaps including some button combos. Melee takedowns also award Bond with up to three “focus kills,” very similar to the mark and execute feature in Splinter Cell Conviction. Basically you can hold down the right trigger and highlight an enemy, then kill him in one shot. Each hand to hand takedown gives you one focus kill, and it’s a good idea to save them for hectic firefights. Unlike Conviction’s executions, focus kills are more useful for thinning out a crowd of enemies raining fire onto you, instead of using them to maintain stealth by eliminating unaware enemies quickly. I enjoyed using the focus kills during heated battles but the feature felt a bit arbitrary—it seemed to be there just to make the grinding cover battles less frustrating rather than to encourage melee combat, but then again I was beating up guys just because it was more fun than the rather floaty and unresponsive gunplay. The stealth segments work well but are somewhat simplistic compared to GoldenEye’s almost persistent stealth mechanic. There is no radar, making surveillance difficult, and Bond can’t crouch down to stay out of sight. This means there are predetermined stealth segments and places where you’ll be detected no matter what you do, and it can be hard to tell which is which. I actually would’ve preferred a lot more stealth to all the gunfights; it seems just as the game is letting you be a spy and get into the James Bond groove it interrupts with yet another cover-based firefight. This is my biggest issue with Blood Stone’s gameplay. Like many other third person shooters it’s just playing follow the leader, taking cues from Gears of War but doing little to innovate or even just break up the monotony. The spying segments are over far too quickly and the rest of the game devolves into a series of increasingly homogenous firefights, using the same handful of pistols, shotguns and assault rifles over and over again. The game does allow you to switch on Bond’s smart phone, giving you a grainy, washed-out digital overlay like the detective visor in Batman Arkham Asylum, but it isn’t used enough. Occasionally you’ll get to hack a camera or a keypad, but scanning intel only unlocks achievements, and there are only a couple times where you use the phone for interesting spy work. At one point I had to record voice samples in an aquarium and play them back to fool a microphone bug, putting the various samples into coherent order. This led to a fast-paced chase over the rooftops of Bangkok, but just as it was starting to resemble the epic parkour chase from Casino Royale a bunch of gun-toting thugs showed up, forcing me to take cover once again. The shooting is broken up a few times by some car chases, and considering Bizarre Creations’ experience from Project Gotham I was expecting some top-notch vehicular pursuit. While the racing itself isn’t bad, the way it’s presented has a lot of problems. While James Bond is known for his rather destructive tendencies—he might destroy a construction yard here, demolish an old Venetian building there—the chaos in Blood Stone is far too over the top. The racing levels are so full of destruction that it’s very difficult to see where you’re going, leading to aggravating trial and error restarts that seriously break the flow. It’s as if they hired Michael Bay to choreograph all these chases to include as many exploding buildings, cars and bridges as the 360’s GPU could conceivably render.It doesn’t help that an Aston Martin going full-tilt isn’t the most maneuverable vehicle in the world, especially when you’re careening through the narrow streets of Istanbul. The chase in Bangkok was a lot more fun just because you were driving a slow pickup truck and following a massive earth-mover, slowing down the action to manageable levels and giving you something big and obvious to chase, but in the process a huge swathe of Bangkok is laid waste, and just so Bond can run down an escaping assassin. Aren’t the Craig movies supposed to be more realistic? Why didn’t the assassin just duck into a building, so I could continue the thrilling rooftop foot-chase? After so much collateral damage I’d expect M to take 007’s license to kill and set it on fire. In fact, the most enjoyable race was the no-frills high speed pursuit at the very end of the game, because I could focus on the chase. I was chasing a sports car in another sports car, over highways and weaving between traffic, but without the distracting superfluous wanton destruction. 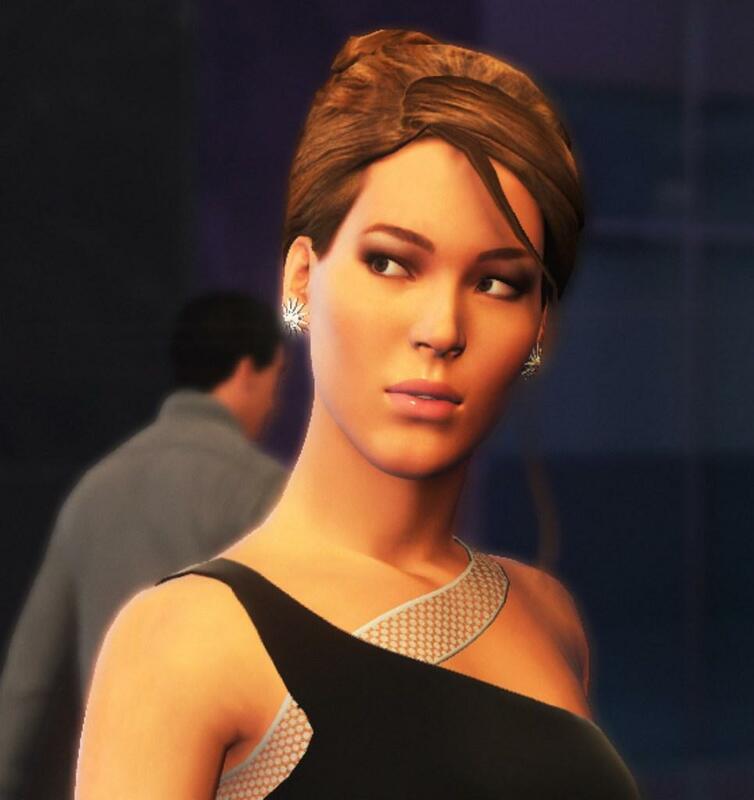 A lot of this monotony could be forgiven if the game had a plot that was as gripping as Casino Royale’s, or even as varied and visceral as the story in Quantum of Solace. Unfortunately the story just isn’t that compelling. It’s a globe-hopping adventure in the tradition of most 007 stories, with Bond following the trail of a bio-weapon through Europe and Asia, but the texture and real-world roughness of the Craig movies just aren’t there. I think this is mostly because there are only two movies in the new continuity to work from, and EON Productions probably didn’t want Blood Stone taking too many liberties this early in Craig’s tenure as 007. The James Bond movies are in a strange transitional period right now. MGM’s financial mess has prevented the Daniel Craig films from progressing, putting Craig’s Bond Universe in a state of limbo; it has a very solid foundation and bold new direction, but lacks important context. Quantum, the modern version of Connery’s nemesis organization SPECTRE, has only just been revealed and is still highly nebulous, lacking any discernible ringleaders much less its own Ernst Stavro Blofeld. Judi Dench’s M is well established but newer, more down-to-earth versions of Miss Moneypenny and Major “Q” Boothroyd have yet to appear. Unfortunately, Blood Stone falls squarely into that void of detail and context. Q’s absence is felt particularly strongly in Blood Stone. While Craig might have made it through two films with just his grit and ingenuity, Q’s spy gadgets were always perfect for filling in the “hey, cool!” moments in previous Bond games. In Blood Stone, Bond is stuck with his smart phone and that’s about it. The only reason that single minimalist gadget sufficed in the GoldenEye reboot was because it did everything, much like Bond’s watch in the Brosnan films and games. The whole game feels like a side-story, by no fault of Bizarre Creations or Feirstein; they’re just trying to be faithful, painfully faithful, to the setting established by Craig’s movies, and unfortunately they don’t have a lot of background substance to work with. It’s made more glaring because so far Craig’s films have had a strong story arc and Blood Stone doesn’t add much to that arc. Bizarre Creations and Feirstein were obviously in a tough spot—they couldn’t advance the important plot points because those were being reserved for the next film, whenever that happens, but they had to come up with an action-packed story that kept the hard-edged, gadget-less quality of the previous two films. Unfortunately, the break from the Quantum arc makes it feel like 007 is doing this adventure in his spare time. There are a few redeeming aspects, though. While Q himself is absent, M’s chief of staff Bill Tanner is mentioned as serving in Q Branch and gives Bond equipment advice; if Blood Stone is indeed canon, this is the first mention of Q’s division in the rebooted Daniel Craig continuity. I was initially disappointed with the supporting cast—I really wanted Felix Leiter to show up—but the requisite “Bond girl” did surprise me. I was very ready to hate Joss Stone’s highly superficial Nicole Hunter, a Bond girl who appeared to have a lot more in common with the floozies of Rodger Moore’s films than the driven, complex women in Craig’s movies.Nicole starts off incredibly unbelievable—she’s a pampered jewelry designer who had some tax fraud issues and is paying them off as an MI6 contact in her spare time—but thankfully she’s far more interesting by the conclusion of the game. Without spoiling anything I’ll say that she gives it a very Casino Royale ending. More importantly, the end of the game is our only real hint that Quantum, and maybe even its Number 1, may be involved; here’s hoping Blood Stone factors into the movie continuity, because if it does its own somewhat weak story will gain a lot more gravity. Blood Stone’s production values try to make up for the ho-hum plot by delivering a truly cinematic experience. Each location you visit has been constructed with incredible detail to replicate the glamorous international locales you’d expect in one of the movies. The car chases in particular, while oversaturated with explosions, are gorgeous—it’s literally painful to watch Bond destroy such beautiful gleaming vehicles, especially the DB5. Blood Stone is an undeniably beautiful game, the only problem being that this polish somehow doesn’t translate over to the cutscenes, at least not entirely. 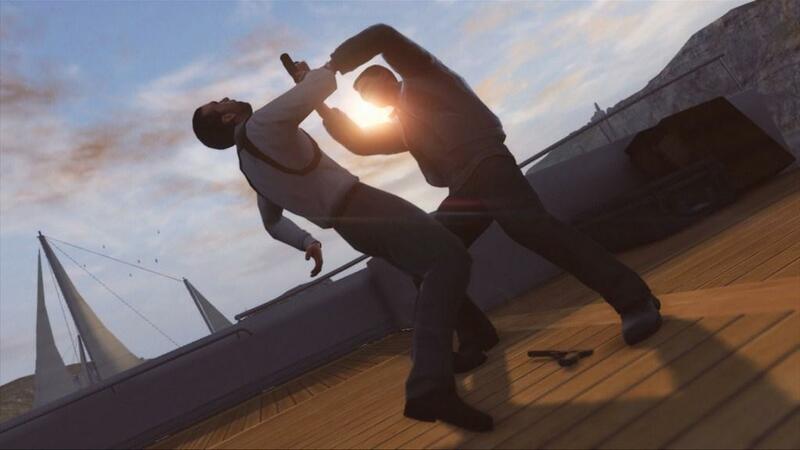 The carefully motion-captured melee combat, while bone-crunchingly visceral in-game, looks loose and weightless during the cutscenes. Even worse, the characters’ faces are stiff and plasticy. Either Bond and his allies have opted for that extra shot of Botox or they holiday in the Uncanny Valley, because their expressions are rigid, badly animated masks. It’s so bad that it is actively distracting during the cutscenes; I found myself cringing at M and 007’s action figure faces instead of paying attention to the dialogue. It’s too bad, because Daniel Craig and Judi Dench deliver some solid performances. Maybe the motion-capture people at Bizarre Creations should talk to the animators at Eurocom, who managed very realistic facial animation in GoldenEye on a console many times weaker than the 360. Luckily Bizarre Creations hired the experienced British composer Richard Jaques to score the game, and Blood Stone’s music successfully emulates the bombastic aural flavor that David Arnold brought to the past several films. It actually sounds a lot like the music in GoldenEye, so if anything the scores in this year’s Bond games are consistent. There are even a few hints of Casino Royale in there, something I really appreciated. Blood Stone’s multiplayer is about what you’d expect from the third person shooter genre, with the typical deathmatch, team deathmatch and a few objective based variations. The focus is definitely on team play, with 16 total players broken up into MI6 and mercenary teams. Again there are some similarities to Splinter Cell’s spies vs. mercenaries setup, but unfortunately without the full depth. There’s a perfectly functional multiplayer here but its lack any defining feature that makes it unequivocally Bond or GoldenEye’s wealth of modes and options, will make you hard pressed to sink much time into Blood Stone’s online component. Blood Stone ends up as “007 Gaiden,” for lack of a better term. 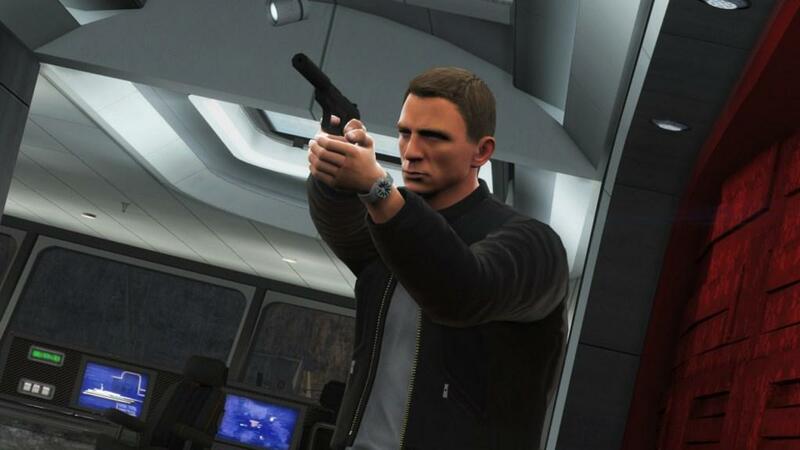 It delivers on the thrills and spectacle you’d expect from a big-budget Bond movie, but without many story threads connecting it to the other Daniel Craig films and gameplay that’s just a bit too tedious, it ends up feeling pretty generic. I’m sure the best of intentions went into this game but it lacks GoldenEye’s nostalgia, identity and attention to detail. Those elements aren’t necessary to make a great game, but Blood Stone was billed as a completely original Bond adventure—unfortunately, it just isn’t that original. Without a bold direction of its own Blood Stone just can’t fill the void left by this year’s nonexistent Bond movie. 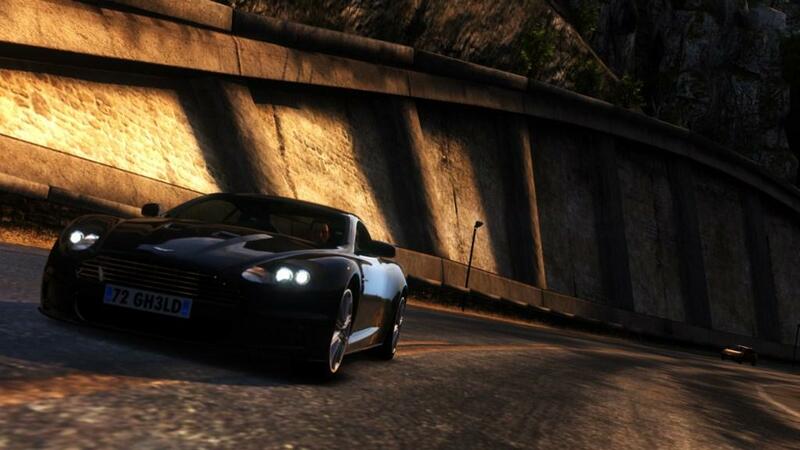 007 completionists will want to have it in their collection, but I’d recommend a rental first for most other gamers. Blood Stone is polished to a mirror shine but the high production values can't make up for generic gameplay. If the story were better and there was more variety than just rote cover-based gunfights and frustrating car chases, Blood Stone might be up there with classics like GoldenEye and Everything or Nothing, but as it stands it's more of a 007 side story than this year's movie stand-in.